This is the top-down approach, the second variation on the basic OCF definition. 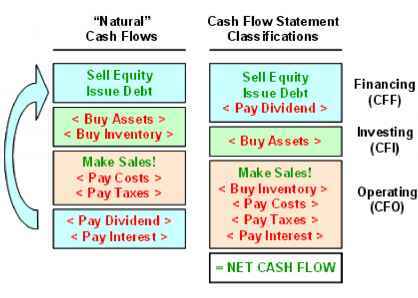 Here, we start at the top of the income statement with sales and work our way down to net cash flow by subtracting costs, taxes, and other expenses. Along the way, we simply leave out any strictly noncash items such as depreciation. This is just as we had before.